The past few weeks have been such a busy time for me. 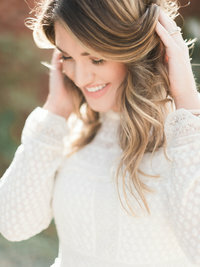 I have been out of town twice [Charleston & Charlotte], I got engaged and have been preparing for the launch of my new site [which should be very soon, with more info on all these exciting details]! Let’s just say, busy is an understatement, for me at least because I usually don’t travel that often. The other day, amidst the pile of laundry, cleaning and tidying that needed to be done, I was about to start unpacking my travel makeup bag [here] when I realized that this would be the perfect time to share some of my current and favorite products that I am using on a daily basis! I adore my Louis Vuitton Toiletry 26 bag, #duhh, because it is one of the most fashionable and useful cosmetic bags I own. Plus, it fits tons, and tons, of stuff! I didn’t realize how much I love, and rely on Nars products, until I decided to share my favorites. I seriously have fallen head over heels with the quality and price of Nars products. The base of my face is basically Nars. I have just repurchased this foundation because I love how long lasting it is. And guess what… it doesn’t break me out!! 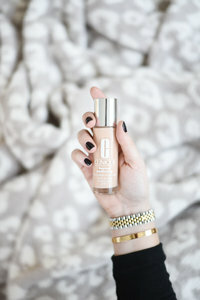 The tinted moisturizer is just as great, only with light coverage, perfect for hot beach days. Add a little of their creamy concealer on blemishes and my favorite, YSL Touche Eclat, under the eyes for a perfect flawless face! As for blush and bronzer, I have fallen in love with two samples. The Tarte Amazonian Clay Bronzer is the perfect bronze shade and is even good for contouring. I am also really loving this rosey, rose bloom blush from Laura Mercier. To set everything I am faithful to the Laura Mercer Translucent Powder. For the eyes, I start with the Nars smudge proof eye shadow base and use my favorite combination of colors from the Too Faced Natural Eye Palette. 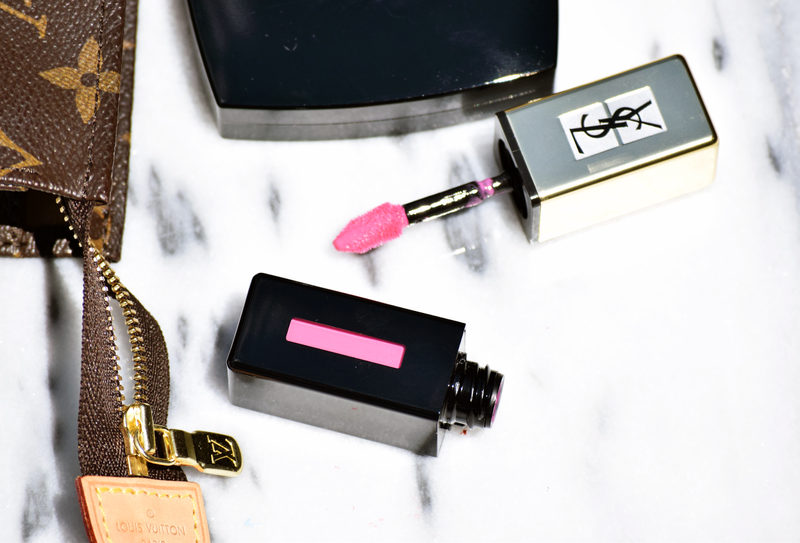 I have been loving this YSL mascara, and have been using the Loreal Lineur Intense for years! I am not exactly in love with the Chantecaille waterproof eyebrow pencil, but it isn’t terrible [haha]. YSL and Tom Ford are definitely my two favorite lip product brands, but as far as what has been in my makeup bag, YSL takes the win. I have recently fallen in love with their glossy stains, especially this color. I have also finally found out what all of the talk about Lingerie Pink is, it’s stunning! I use a combination of brushes from different brands, but MAC and Chanel are my everyday brushes. 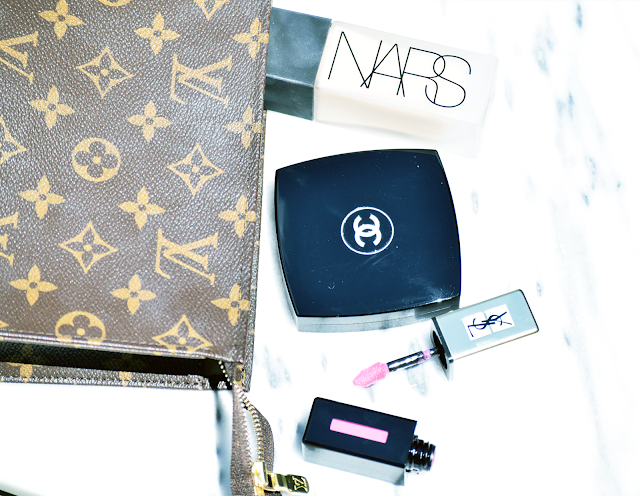 I hope that you enjoy getting a look into my makeup bag and what products I am currently using! 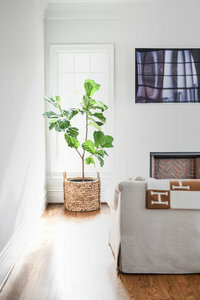 I love reading about these and finding out what products other people are loving! I would love to know what your favorite products are right now, let me know in a comment below!